Another comic-to-film adaptation that lends some integrity due to Kenneth Branagh as director. But does it drum up thunder or is it merely a firecracker in the grander scheme of things? Look at the poster. I can’t help but think The Social Network’s advertising campaign of writing words over people’s faces has gone too far with every movie these days copying it (keep an eye open) so is the film as unoriginal as it’s advertising campaign? Well, not really. Instead, I was quite surprised by how much I enjoyed it. The main reason why is because it cuts out the fat. The scenes are short, sharp and well written. The pace is relentless but never do you feel they have sacrificed anything for the sake of keeping everything tight – instead the whole thing feels well constructed and satisfying. There are two parallel storylines going on throughout the film. The one is in Asgard where Thor is banished for being a petulant child and his brother Loki looks set to take over. Once Thor is on Earth, he soon realises he is not as special as he thinks he is while his mates in Asgard are trying to stop a war Thor has started with some cool looking ice people – or has he? Branagh deals with the story in a mature way by concentrating on the family issues. In fact, he is an apt choice as the content itself is Shakespearean in nature: tragedy, betrayal, royalty, family focused politics that deal with fathers, sons and the issue of power. It’s familiar territory for Branagh and one that disguises itself in a superhero blockbuster movie, a clever move for all involved. People forget that comics, like all myths (this one obviously being a real myth, if there is such a thing) deal with issues that form the basis of all great stories and Thor involves them all. 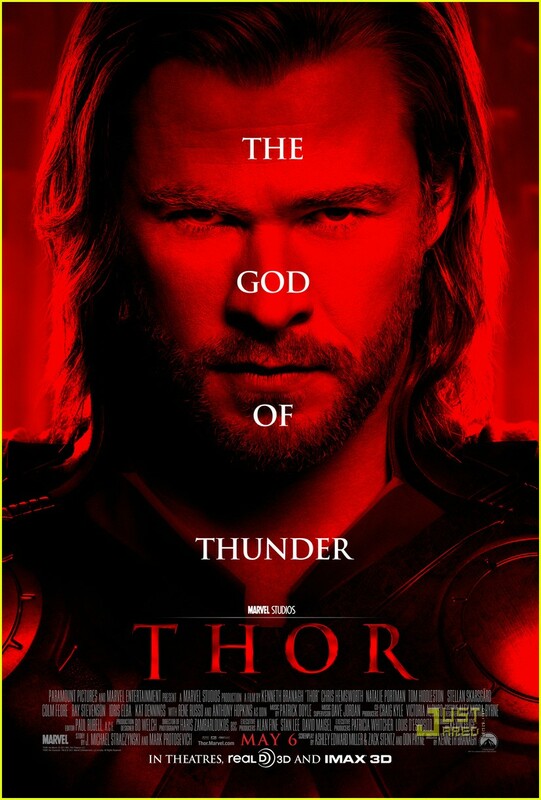 The acting was also top notch with Portman being more than just a silly little girl, Chris Hemsworth putting in a surprisingly effective effort as Thor, newcomer Tom Hiddleston giving it all as Loki, Stellan Skarsgard (one of my favourite actors) putting in some minimal effort that is good enough to do the business, Idris Elba looking as menacing as Stringer Bell ever did and really it is Anthony Hopkins going through the motions that really comes across as a bit lazy. Out of everyone, I never would have thought him the weakest link. What also surprised me was that I found myself laughing out loud on occasion and watching Thor mature into a self-sacrificing Christ-like figure might be quick, but it’s not ridiculous. After all, he is portrayed as someone that is good at heart but just a bit quick tempered so his turn isn’t as far fetched as it might seem. The only real problem I had is that it’s different from the comics. If I remember rightly, some weedy blonde kid picks up the hammer and becomes Thor and the series is a bit like a personal internal struggle with himself and Thor – basically a bit like Hulk. Instead, Thor is a completely separate person and, as with other works of fiction, I’m sure fanboys won’t mind the change if done right, and Thor does it justice. Perhaps the turning of weedy kid to mighty hero is too familiar with audiences and they would rather something different, so it’s a good call. Overall, I thought this was great and a decent lead-up to The Avengers. It’s nothing that will make you want to see it again and again but was definitely worth the watch and is one of the better superhero films. I enjoyed this much more than the Iron Man series for instance. The marketing campaign makes it look like teen fodder but don’t let this fool you – it’s a film that all audiences will enjoy and like lead actor Hemsworth – it looks pretty but for once, carries some depth.